Collection Inventory – Ashley N. Bouknight, Ph.D.
As the Curator at The Hermitage, I am responsible for managing the collection artifact records through the use of PastPerfect Museum Database software and processing acquisition and incoming/outgoing loan agreements. I also maintain the collection’s pest management and environmental systems of the site’s mansion, visitor center/museum, and collection storage areas. 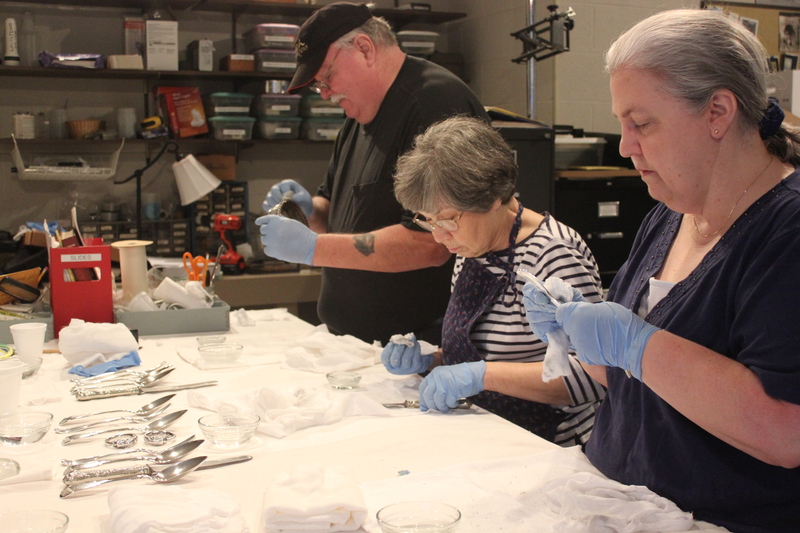 In addition to managing the records of the collection, I am also responsible for conducting preservation measures and cleaning the entire artifact collection. 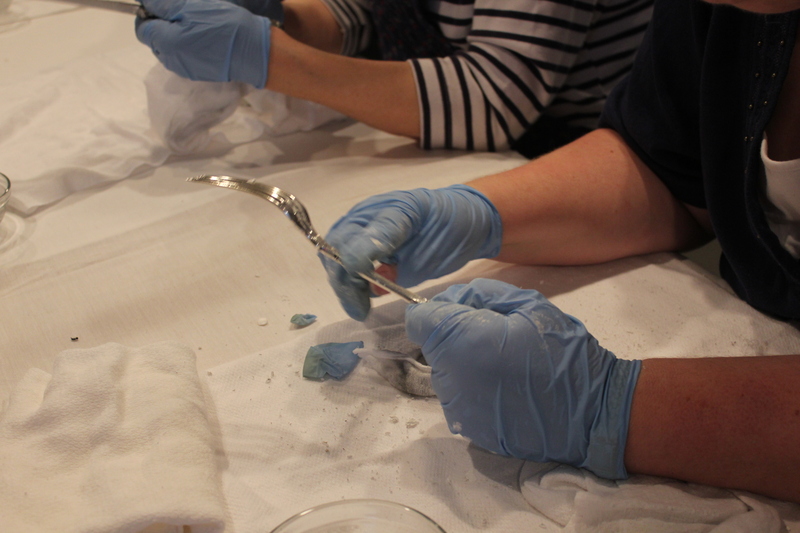 With the assistance of two curatorial aides, these duties include vacuuming textiles, re-housing artifacts in preservation-safe materials, and daily cleaning of the historic buildings and museum. 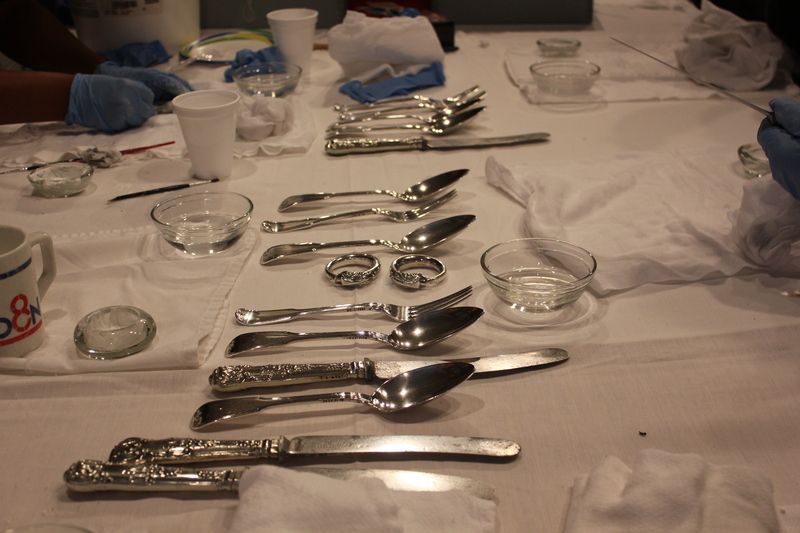 One of the most extensive preservation projects conducted on site is the cleaning the silver in the Hermitage mansion. To complete the project, I enlist the help of volunteers and other Hermitage staff members. One of my favorite tasks is decorating the mansion for Christmas. I use personal letters, information about holiday traditions during Jackson’s period, and Jackson family heirlooms from the permanent collection to create small exhibits throughout the mansion. I have also been tasked to periodically write the “Notes from the Curator” section of the members-only newsletter. My articles use objects from the Hermitage collection to convey the history of President Jackson and his life on his farm.